Out of all my lip products, I find myself reaching more for tinted balms over anything else. I look for ones that are moisturizing and I can apply quickly without a mirror and not end up looking like a clown. This is a problem for me because having naturally darker lips I have to go for darker colors to even show up on my lips. These two drugstore products are my favorite among my collection and I am going to do a side by side comparison with colors that I could match as closely as possible with each other. First up is Revlon Lip Butter in Berry Smoothie. I love the cute quilted packaging that makes this inexpensive lippie look luxurious. The only complaint about the packaging is that the product easily bleeds onto the tube making it a little messy and unsavory to look at. The colorful is a beautiful berry pink with a shiny finish. The color is beautiful with this product however the application and staying power is not so good. This does not apply so smoothly nor does it feel very moisturizing. On dry lips this product catches on every groove and ridge make it a very uneven finish. Often when I am doing applying I will need to run a finger over my lips in order to blend the color smooth. This is gone after you eat or drink anything, but the easy application for the color payoff still makes it worth it. It is easy to just swipe on and then blend away even without a mirror. 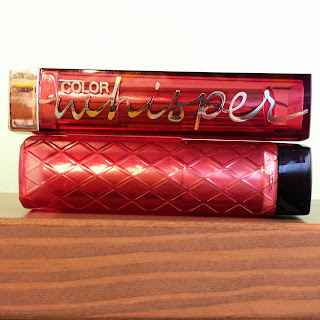 Next is Maybelline Color Whisper. This is exactly what I've been looking for all my life. This color is Made-it Mauve and a pretty close match to the lip butter, just slightly darker. This lippie goes on so smoothly and is richly pigmented but still easy to apply without a mirror. There was even coverage of color all over my lips and no need to blend at all with my finger. It feel very moisturizing on my lips and has great lasting power as there was still a fair amount even after I've eaten lunch. I definitely will be headed to the store to pick up a few more of these! 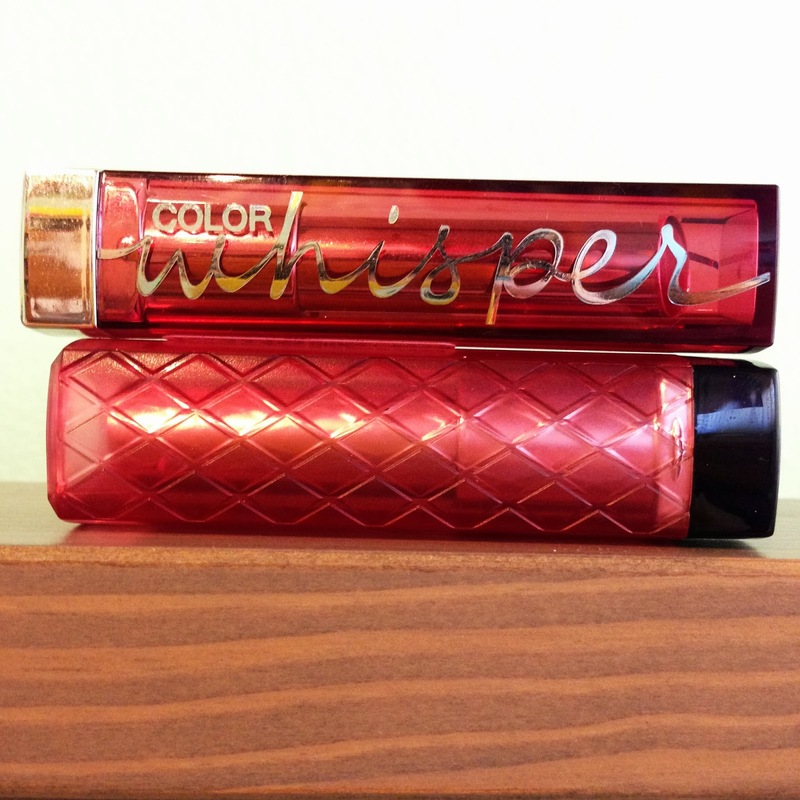 Have you tried lip butters and color whispers? Which is your favorite?